Himmel oder Hölle ? > Welchen Weg wollen Sie gehen? > Es ist Ihre Wahl! Die Bibel ist die Verfassung des Reiches GOTTES und unser Arbeitsvertrag mit GOTT als Christen. 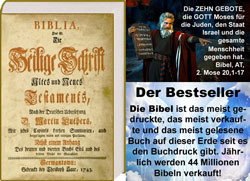 Die Bibel = GOTTES WORT sagt: „Wer nicht mit mir sammelt ist gegen mich“. Wir dienen auf dieser Erde entweder dem Teufel oder GOTT! Egal ob sie das glauben oder nicht. Egal ob sie einer guter Mensch sind oder nicht. Alle Menschen die Jesus Christus als Ihren HERRN und ERLÖSER ablehnen werden nach der Bibel zusammen mit dem Teufel und seinen abgefallenen Engeln (Dämonen) in die Hölle = Feuersee geworfen und von Ewigkeit zu Ewigkeit gequält. Die Bibel sagt der Tod ist nicht endgültig, sondern wir leben ewig. 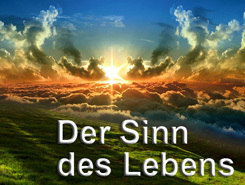 Entweder ewig im Himmel bei GOTT, wo kein Leid, kein Schmerz, keine Tränen mehr sein werden. Oder in der Hölle wo wir auf ewig unter unsagbaren und unvorstellbaren Schmerzen gequält werden. Das Leben endet nicht nach dem Tod, wie viele Menschen und Sünder annehmen, sondern unser Leben auf dieser Erde entscheidet, wo wir die Ewigkeit verbringen dürfen! Die Bibel = GOTTES WORT sagt: „Der Weg in die Verdammnis ist breit und viele werden ihn auf der Suche nach den Lüsten dieser Welt gehen. Der Weg in den Himmel ist schmal und manchmal auch schwierig und steinig und nur wenige werden ihn gehen“. 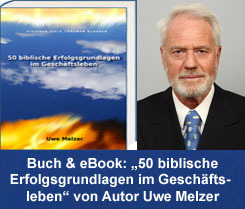 Mehr Informationen über biblische Wahrheiten im Geschäftsleben finden Sie in dem Buch/eBook von Autor Uwe Melzer mit dem Titel: 50 biblische Erfolgsgrundlagen im Geschäftsleben. Dieser Beitrag wurde am 3. 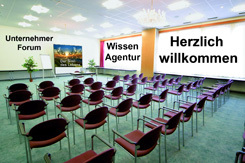 Juli 2010 von Uwe Melzer in Allgemein, Christentum, Coaching, Consulting, Gesellschaft, Glaube, Kirche, Kommunikation, Lebenshilfe, Motivation, Predigt, Religion, Seminare, Vortrag veröffentlicht. 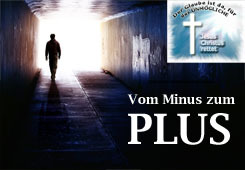 Schlagworte: Arbeitsvertrag, Bibel, Christen, Christus, Dämonen, Engel, Feuersee, gehen, Glauben, Gott, Gottes, Himmel, Hölle, Jesus, Reiches, Teufel, Verdammnis, Verfassung, Wahl, Weg. Some truly good information, Gladiola I discovered this. „Ready tears are a sign of treachery, not of grief.“ by Publilius Syrus. This is very interesting, You’re a very skilled blogger. I’ve joined your rss feed and sit up for searching for more of your fantastic post. Additionally, I’ve shared your web site in my social networks! My developer is trying to convince me to move to .net from PHP. I have always disliked the idea because of the costs. But he’s tryiong none the less. I’ve been using Movable-type on various websites for about a year and am concerned about switching to another platform. I have heard excellent things about blogengine.net. Is there a way I can transfer all my wordpress posts into it? Any kind of help would be really appreciated! Yes, you can transfer all your text blog into WordPress. Simply copy the text editor of your blog text and paste it into the WordPress text editor. Programming of photos, etc. in WordPress the best with HTML code. There are apparently problems with older versions of MS Internet Explorer or generally older browser. New versions of IE 8, Firefox, Chrome, Safari, etc. functions properly. I test including the Microsoft Internet Explorer 8 Here is my blog is working properly. It’s slower than Firefox, but it works. What IE? to use. RSS = It is running with Windows 7, but not with Windows XP. Newsletter link above, there is the blog RSS feed subscription is right in the blog. Keep up the great piece of work, I read few content on this website and I think that your blog is very interesting and contains bands of fantastic info . Just wanna tell that this is invaluable , Thanks for taking your time to write this. „Though thou has never so many counselors, yet do not forsake the counsel of your soul.“ by John Ray. I simply could not depart your website before suggesting that I actually enjoyed the usual info an individual provide in your visitors? Is gonna be again incessantly to check up on new posts. Exactly what I was looking for, thankyou for putting up. „Every failure is a step to success…“ by William Whewell. I simply want to say I’m all new to blogging and site-building and certainly loved you’re blog. More than likely I’m going to bookmark your website . You definitely have good articles. Thank you for sharing your website. It is in reality a nice and useful piece of info. I’m glad that you shared this useful information with us. Please keep us up to date like this. Thank you for sharing. Text and photos write html code and paste it into WordPress or use html features of WordPress. Sidbar goes well with html code. Manual of WordPress read and then try and try. Unquestionably consider that that you said. Your favorite reason seemed to be at the net the simplest factor to be aware of. I say to you, I definitely get annoyed whilst folks consider issues that they plainly do not know about. You controlled to hit the nail upon the highest and also outlined out the whole thing with no need side effect , people can take a signal. Will likely be back to get more. Thanks! After I originally commented I clicked the -Notify me when new comments are added- checkbox and now every time a remark is added I get 4 emails with the same comment. Is there any way you possibly can remove me from that service? Thanks! No, sorry, there are always users and readers who simply copy the comment another comment. Unfortunately, this is a bad habit, can not be turned over. The only alternative would be, man can no more comments. I am not real fantastic with English but I get hold this rattling leisurely to read. Good day! I just would like to give an enormous thumbs up for the good information you will have right here on this post. I shall be coming again to your weblog for more soon. lol whaaa, hnds down awesomes post i’ve ever read. Good – I should certainly pronounce, impressed with your site. I had no trouble navigating through all the tabs and related information ended up being truly easy to do to access. I recently found what I hoped for before you know it at all. Quite unusual. Is likely to appreciate it for those who add forums or something, site theme . a tones way for your customer to communicate. Nice task. Rattling fantastic info can be found on web blog . „Life without a friend is death without a witness.“ by Eugene Benge. Last time I was here you had a various writing style, are you employing content material writers or do you write this all your self? I was questioning due to the fact Ive been flipping via some of your other posts and it seems that its not all written by the similar individual, judging by the writing style. Perhaps I am incorrect, but I am just curious to know. I am writing in general, all my blogs themselves. Sometimes I use information from other writers and versehe this with my own commentary. Based on my research, after a foreclosures home is bought at an auction, it is common for any borrower to be able to still have some sort ofthat remaining unpaid debt on the financial loan. There are many loan companies who try and have all service fees and liens paid off by the subsequent buyer. Nonetheless, depending on specified programs, restrictions, and state guidelines there may be some loans which aren’t easily sorted out through the exchange of lending products. Therefore, the responsibility still lies on the client that has got his or her property foreclosed on. Many thanks sharing your opinions on this site. Iâ€™ve read several good stuff here. Definitely worth bookmarking for revisiting. I surprise how so much effort you set to make this kind of great informative website. In my opinion that a foreclosures can have a significant effect on the debtor’s life. Home foreclosures can have a 6 to decade negative influence on a client’s credit report. A borrower who’s applied for home financing or virtually any loans for that matter, knows that a worse credit rating will be, the more difficult it is to acquire a decent financial loan. In addition, it may possibly affect a new borrower’s capability to find a good place to lease or rent, if that turns into the alternative housing solution. Thanks for your blog post. Hi there, simply become aware of your weblog through Google, and found that it is truly informative. I’m going to be careful for brussels. I will appreciate when you proceed this in future. Numerous other people can be benefited from your writing. Cheers! I truly enjoy looking through on this website, it holds fantastic articles. „The living is a species of the dead and not a very attractive one.“ by Friedrich Wilhelm Nietzsche. Thank you for your own labor on this web page. Debby delights in carrying out investigations and it is obvious why. Many of us learn all concerning the powerful mode you provide efficient tactics by means of your blog and welcome participation from other ones about this situation plus our child is always starting to learn a lot of things. Enjoy the rest of the year. You have been performing a tremendous job. Thanks for sharing superb informations. Your site is so cool. I am impressed by the details that you have on this web site. It reveals how nicely you understand this subject. Bookmarked this website page, will come back for extra articles. You, my friend, ROCK! I found simply the information I already searched everywhere and just couldn’t come across. What a great web site. Very interesting topic , regards for putting up. „Nothing is more wretched than the mind of a man conscious of guilt.“ by Titus Maccius Plautus. I genuinely enjoy looking through on this web site , it holds good posts . „You should pray for a sound mind in a sound body.“ by Juvenal. Coming from my research, shopping for gadgets online may be easily expensive, but there are some guidelines that you can use to help you get the best products. 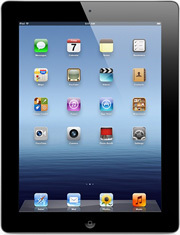 There are continually ways to discover discount promotions that could help make one to hold the best technology products at the lowest prices. Thanks for your blog post. You actually make it seem so easy with your presentation but I find this topic to be actually something that I think I would never understand. It seems too complicated and very broad for me. I’m looking forward for your next post, Iâ€™ll try to get the hang of it! Sie machen es tatsächlich sehr einfach und verständlich mit Ihren Veröffentlichung, aber bisher dachte ich immer,ich würde das, an was ich glaube, nie verstehen. Es schien mir zu kompliziert und sehr breit für mich. Ich freue mich auf Ihren nächsten Artikel. Werde versuchen den Dreh raus zu haben. 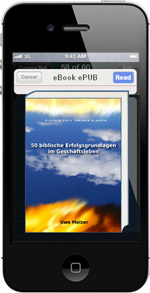 Schnellübersetzung Englische > Deutsch von: RodrickKebert@pengyou.com – Thank you for your kind comment. Many greetings from Germany. I simply want to say I am newbie to blogging and truly loved your web site. More than likely I’m want to bookmark your blog . You certainly have impressive writings. Thank you for sharing with us your website page. Ich möchte einfach sagen, ich bin Neuling auf Blogging und wirklich geliebt Ihrer Website. Mehr als wahrscheinlich, ich möchte in einen Blog zu bookmarken. Sie haben sicherlich beeindruckend Schriften. 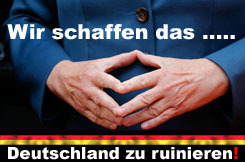 Vielen Dank für den Austausch mit uns Ihre Website zu sehen. Schnellübersetzung Englische > Deutsch von: Fijalkowski98@gmail.com – Thank you for your kind comment. Many greetings from Germany.